As if we didn’t have enough evidence that McCain is the enemy, he was actually complicit in the IRS targeting of Conservative groups. The man who calls himself a “maverick” is just a scumbag Leftist. McCain is a fraud who uses his service in the military and his stint in captivity as a crutch, all in an effort to gain power. He does so by currying favor with the Left, while appearing publicly to care about Conservatives. It wasn’t just the Obama Regime and the Democrats who were scheming with the Obama IRS to attack the freedom- loving, Constitution- supporting Tea Party grassroots movement. According to new IRS documents discovered by government watchdog group Judicial Watch, “retired” former Obama IRS head of exempt organizations, Lois Lerner, was pressured by both Democrat Senator Carl Levin and Republican Senator John McCain to rein in political advocacy groups. To believe that this octogenarian will seek yet another term in the Senate shows just how drunk with power he is. 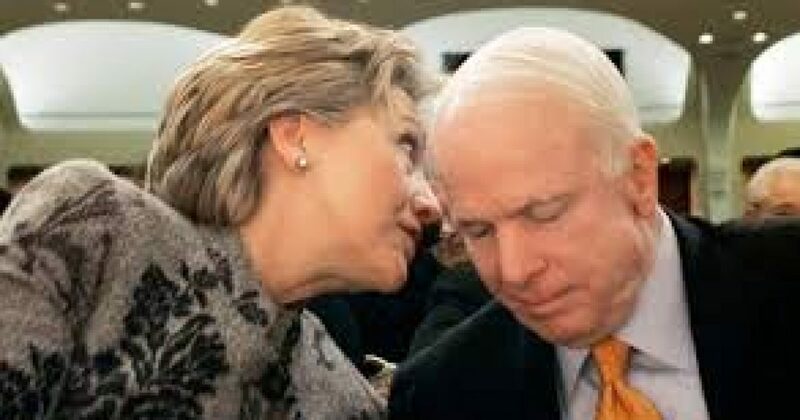 It’s time for McCain to be gone. He’s 50 years past his prime, and let’s face it: his prime wasn’t all it was cracked up to be.